901 Southwest Clark Road has a Walk Score of 64 out of 100. This location is Somewhat Walkable so some errands can be accomplished on foot. This location is in Blue Springs. Explore how far you can travel by car, bus, bike and foot from 901 Southwest Clark Road. 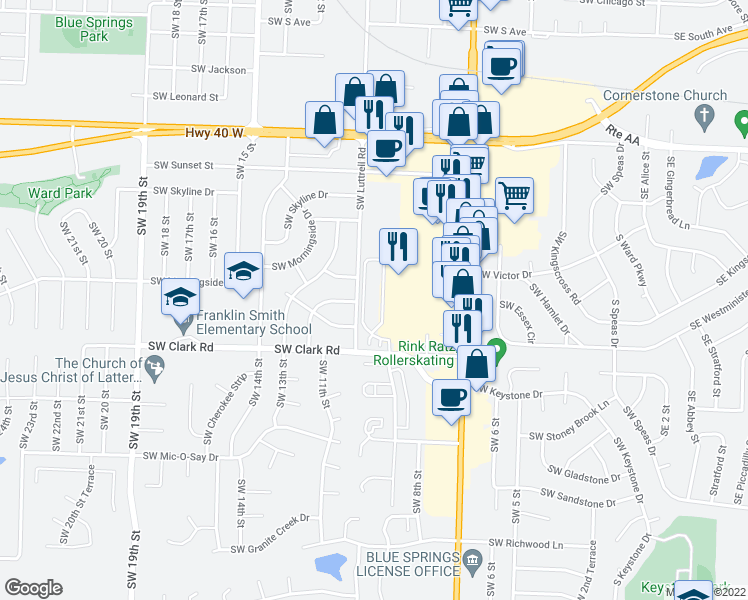 View all Blue Springs apartments on a map. 133 NE Adams Dairy Pkwy. This location is in the city of Blue Springs, MO. Blue Springs has an average Walk Score of 26 and has 52,575 residents. Gorgeous 3 Bedroom, 2.5 Bath in Blue Springs! Split Entry 3 bedroom home with 2 car garage. Cul-De-Sac in private neighborhood sits this cute 3 bedroom home! Raised Ranch with Cathedral/Vaulted Ceilings. Charming 3 Bedroom, 2 Bathroom in Independence! Adorable all brick home with fenced in backyard. Must see! The 3bdrm, 2 bath, 2 car garage home. Must see!